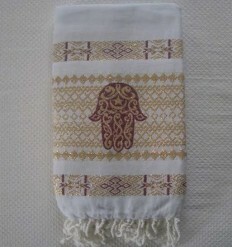 Fouta Khomsa made of 90% cotton and 10% lurex with the hand of Fatma, these beautiful decorative foutas are perfect for the bridal Hammam ceremony . 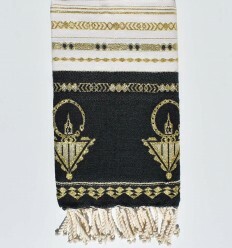 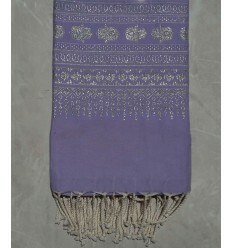 Moreover, these towels are Multi-colored and available in silver or gold thread lurex to give it a touch of fantasy. 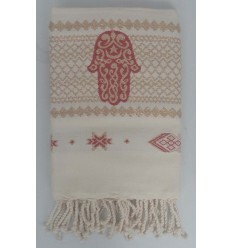 100% Tunisian traditional foutas,hand-crafted by our best artisans. 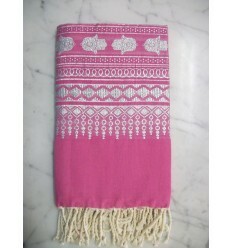 Flat weaving khomsa dark pink 100% cotton fouta. 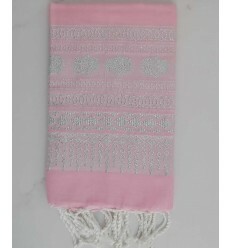 Flat weaving khomsa nasturtium pink 100% cotton fouta. 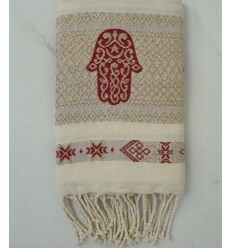 Flat weaving khomsa red 100% cotton fouta. 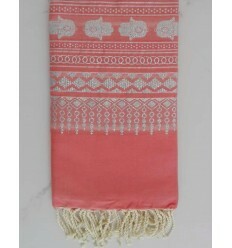 Flat weaving khomsa salmon pink 100% cotton fouta . 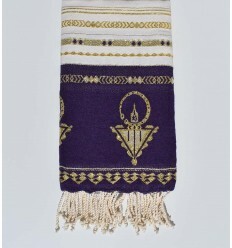 Flat weaving khomsa lavender purple 100% cotton fouta . 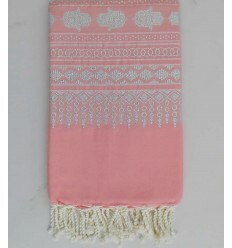 Flat weaving khomsa light pink 100% cotton fouta. 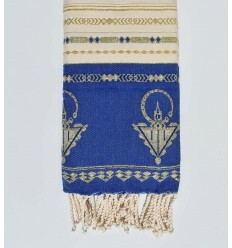 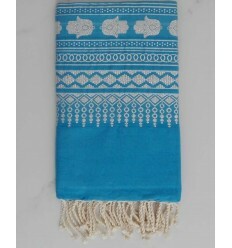 Flat weaving khomsa sky blue 100%cotton fouta . 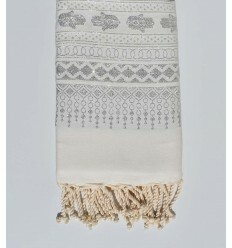 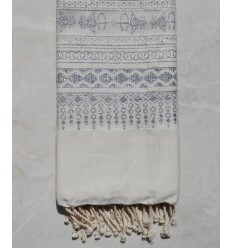 Flat weaving khlela creamy white 100%cotton fouta . 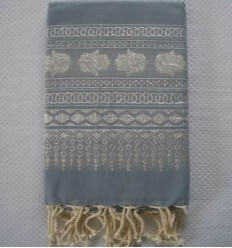 Flat weaving khomsa brown 100% cotton fouta . 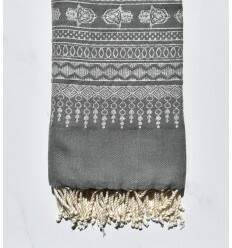 Flat weaving khomsa alizarine red 100%cotton fouta .